Let the rainbow protect you from the evil heat monsters! 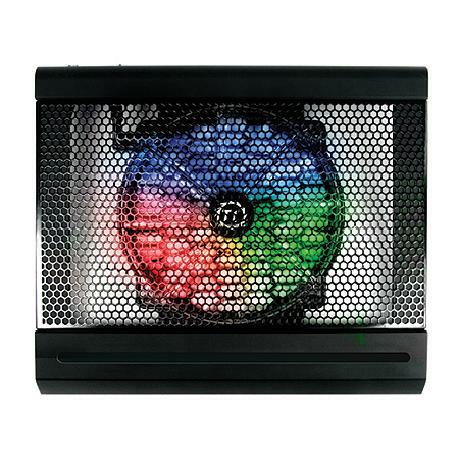 Embedded ultra silent 23cm variable color LED Fan with On/Off switch. Great combination of ergonomic and anti-slip design with versatile angle for optimal operating comfort. Supports laptop dimensions 10” ~ 17”, especially for wide-screen laptop.